Holt Village Hall is in the centre of the village, next to the church, pub and the Village Green. 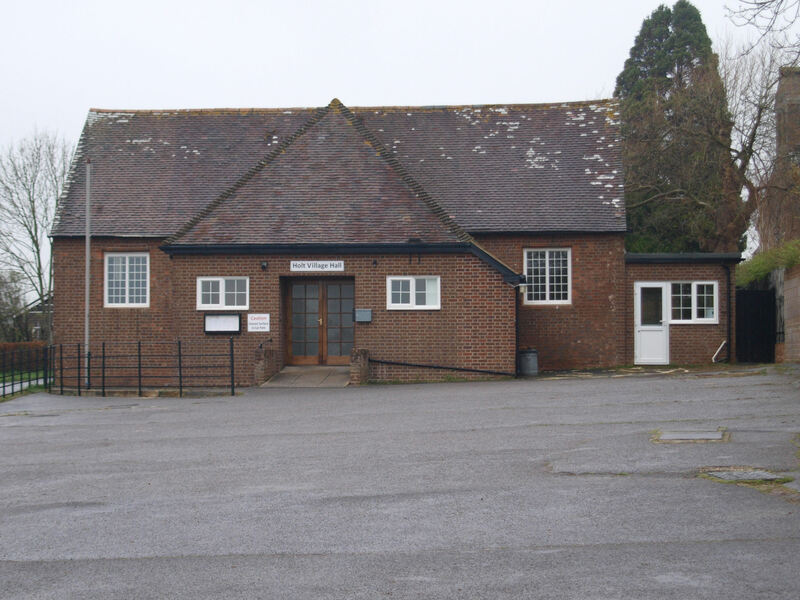 It is an ideal venue for a wide variety of functions and is popular for parties, jumble sales, meetings, christenings and wedding receptions. Our regular users include a short mat bowls club, a skittles league, embroidery, quilting, dog training and yoga groups plus a range of Art classes for all abilities. 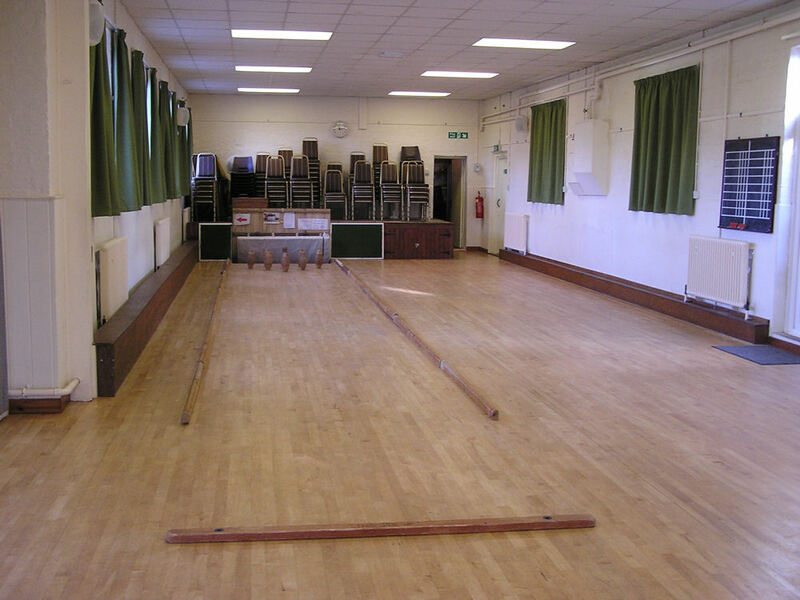 The hall is run by a small committee of local volunteers, who deal with the daily management and regular maintenance of the property. We do not employ a caretaker and rely on the people that hire the hall to be respectful to keep the Hall clean and tidy for everyone to use. 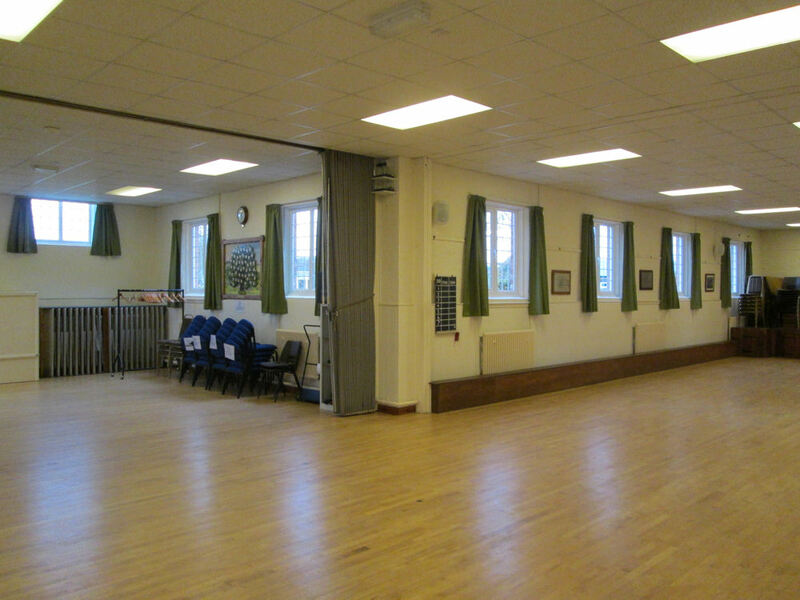 The hall has a maximum capacity of 120 and is available for hire for one or more of the morning, afternoon or evening sessions each day. Please follow the month buttons on the left of the page to see the session times, please note they include the time you may need to set up and clear away your function ready for the next hirer. Please note to protect the hall floor Stiletto heels are not allowed. The hire charge includes the hire of the hall, the use of 120 cups & saucers, tea plates, dinner plates, soup bowls, cutlery, wine glasses, free WiFi and use of the hall sound system. The kitchen is equipped with an electric cooker, a microwave oven, fridge, kettle and tea pots. and 6x 180cm x 75cm tables. The Skittle Alley can be hired for an additional charge of just £5. To check availability use the month buttons to the left of this or any other page. We will endeavour to answer your email as quickly as possible but as the Hall is run by part time volunteers it may take up to 48 hours to get a response.